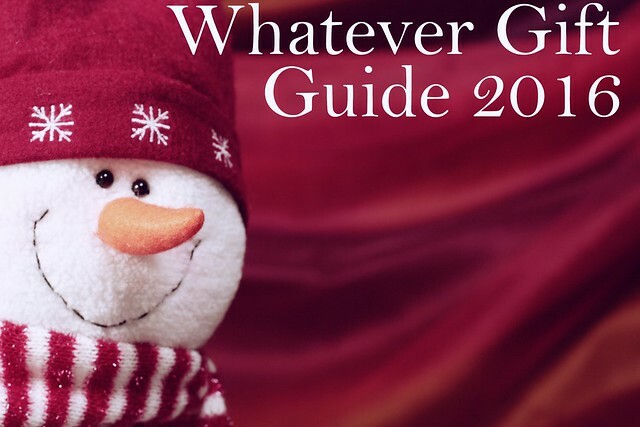 Welcome to the first day of the Whatever Shopping Guide 2016 — My way of helping you folks learn about cool creative gifts for the holidays, straight from the folks who have created them. Today’s featured products are traditionally published books (including graphic novels and audiobooks); that is, books put out by publishers who ship books to stores on a returnable basis. In the comment thread below, authors and editors of these books will tell you a little bit about their latest and/or greatest books so that you will be enticed to get that book for yourself or loved ones this holiday season. Because, hey: Books are spectacular gifts, if I do say so myself. Enjoy your browsing, and I hope you find the perfect book! Please note that the comment thread today is only for authors and editors to post about their books; please do not leave other comments, as they will be snipped out to keep the thread from getting cluttered. Thanks! 1. Authors and editors only, books only (including audiobooks). There will be other threads for other stuff, later in the week. Any type of book is fine: Fiction, non-fiction, graphic novels, etc. If you are not the author/editor of the book you’re posting about, don’t post. This is for authors and editors only. 2. For printed books, they must be currently in print (i.e., published before 12/31/16) and available on a returnable basis at bookstores and at the following three online bookstores: Amazon, Barnes & Noble, Powell’s. This is so people can find your book when they go looking for it. For audiobooks, they must be professionally published (no self-produced, self-published audiobooks) and at least available through Amazon/Audible. If your book isn’t available as described, or if you’re not sure, wait for the shopping guide for non-traditional books, which will go up tomorrow. 3. One post per author. In that post, you can list whatever books of yours you like (as long as it meets the criteria in point 2), but allow me to suggest you focus on your most recent book. Note also that the majority of Whatever’s readership is in the US/Canada, so I suggest focusing on books currently available in North America. 4. Keep your description of your book brief (there will be a lot of posts, I’m guessing) and entertaining. Imagine the person is in front of you as you tell them about your book and is interested but easily distracted. 5. You may include a link to a bookseller if you like by using standard HTML link scripting. Be warned that if you include too many links (typically three or more) your post may get sent to the moderating queue. If this happens, don’t panic: I’ll be going in through the day to release moderated posts. Note that posts will occasionally go into the moderation queue semi-randomly; Don’t panic about that either. 6. As noted above, comment posts that are not from authors/editors promoting their books as specified above will be deleted, in order to keep the comment thread useful for people looking to find interesting books. Got it? Excellent. Then tell the folks about your book! And tell your author friends about this thread so they can come around as well.